Our standard health guarantee is one year for anything congenital and for cancer for our Premier Plan pet babies. We do our very best to produce healthy animals but occasionally an undetected birth defect may become life threatening. Should a pet hedgehog die from a congenital defect prior to the one-year purchase date we will replace the hedgehog (excluding shipping) at zero cost to the original buyer. A veterinary statement confirming cancer or congenital defects is required. All veterinary expenses are the responsibility of the hedgehog owner. The purpose of a deposit is to commit to purchasing an animal and is therefore non-refundable if the buyer fails to follow through on their commitment. The deposit amount is $25.00 and is subtracted from the total price of the hedgehog. Payments can be made in person with cash, online via Paypal (credit card or Paypal account) or by mail with a money order. We do NOT accept checks for deposit payments. A deposit is required to be put on a waiting list for a particular color or gender. The deposit will hold an animal for pick up at Millermeade Farms or any other predetermined location. The buyer is able to substitute their hedgehog at the scheduled visit with a hedgehog the same age or older if other hedgehogs are available. Any hedgehog not picked up at the prearranged time without prior notification is considered unwanted and will be available for purchase by other customers. Millermeade Farms will make every effort possible to ensure that the animal will be at the agreed upon location at the appropriate time and date. 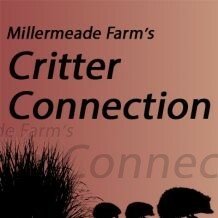 Disclaimer: if the animal is not ready to go to a new home at the prearranged time, Millermeade Farms will notify the buyer that the animal is unavailable and the buyer will have the opportunity to wait for that hedgehog or until the next animal is available or to have their money returned. If the buyer is unable to pick up the animal, the buyer must give 48 hours notice to Millermeade Farms at 419-485-3690 or use our contact form (a new window will open). Only then can the deposit be used to reserve another animal for a later pick-up date. The buyer will have six months to apply their deposit to another animal. If the buyer cancels the pick up date a second time, the buyer loses privileges to reserve animals. Please feel free to review or compare our deposit policies to other hedgehog breeder’s policies. A good way to do this is to simply do an Internet search for “hedgehog deposit policy”. Please be certain that you are willing and able to follow through with your commitment to your purchase before placing a deposit. We understand that there are times when unexpected events prevent the purchase of an animal at the intended time. For this reason our deposit is $25.00 instead of $50.00, 50% or 100% of the cost of the animal. We do not offer refunds not only to be fair and consistent with all of our customers but also to be fair to us because we have made your hedgehog unavailable to other customers upon your deposit and have potentially lost another sale. Millermeade Farms reserve the right to decline or terminate the sale of an animal at any time or any reason. We will terminate a sale if we believe a hedgehog will not have adequate food, care, or housing. We reserve the right to decline sales to customers who have higher expectations of products or services than we feel we can provide. We will always do our best but we would rather not make a sale than risk failing to meet customers’ needs or desires. Over the past 25+ years of breeding animals we have been fortunate to work with many mentors who shared their knowledge and experiences with us. One of our greatest joys is to share what we have learned with others who share a common love for animals. However, our time is limited and we choose to keep our faith and family our highest priorities. When our customers demonstrate a love for animals, a desire and willingness to learn, as well as a similar value system as ourselves we are more than willing to mentor new breeders.